Sweden – Sweden will again host their Melodifestivalen extravaganza and will already have their first National selection Act confirmed by August 25th – as the winner of the Svensktoppen Nästa festival automatically qualifies for Sweden’s national selection. Iceland – are the only country that have yet to declare their plans for 2014. Latvia – LTV (National Broadcaster) may have been disappointed in “Per” not making the Grand Final (like we were too) yet they have said that “Eurovision a priority” for them. They have said that they will “more than likely return next year”. Lithuania – Financial concern are a consideration for the Lithuanian national Broadcaster, yet they have said that they are “not considering withdrawing”. The Lithuanian National search for their Eurovision act is an extensive process each year, but public following of their Eurovision Representative is a highly rated event. Estonia – Very much the same case as Lithuania in regards financial considerations. However a good track record of qualifying for the Grand Final for the last 3 years is spurring the national Broadcaster to continue with Eesti Laul. Belgium – VRT have already declared that they will be having an open final and reverting to their “Eurosong” show to select their entrant for 2014. Expect big things from Belgium next year. Albania – Despite having their best result at Eurovision in 2012, Albania failed to make the Grand Final this year. However they have confirmed that they will be in Denmark next year and using their prestigious Festivali i Këngës over the Christmas period this year again for their National Selection. Israel – Israel have failed to make the Grand final for the last 3 years now yet their national broadcaster are not deterred by this and have said that they plan on being in Denmark in 2014. San Marino – Mixed reports here. Initially we had (unofficially) heard in Malmo after their Semi Final, that they would not be in Denmark for 2014 however there seems to have been a reconsideration. Funding will be a concern – like for most broadcasters – but even more interestingly is that we have heard that Valentina Monetta could be interested in completeing her Eurovision Hat Trick and maybe considering seeking the San Marino choice again. She came 11th in the second semi final this year which is always the worst place to finish. Malta – You all know that I love Malta each year and am so proud that for a small Island they put on one of the most impressive National Selection Contests each year. From speaking to the Maltese Delegation this year – if (no sorry) “WHEN” they win Eurovision we are all set for fantastic experience in the Mediterranean country. From a purely selfish perspective they use the Euro and 3 pinned plugs – I so want to go to Malta for Eurovision. But seriously following their thoroughly deserved success at this year’s contest and finishing in the Top 10, the country will be at Eurovision looking to go even higher. Hungary – The Hungarian National Selection process this year “A-Dal” proved again to be a viewing and Eurovision success with ByeAlex bringing the country back to the Top 10. They will be back in 2014 and looking for further success. At the EBU Press Conference in Malmo this year – Jon Ola Sand – advised that the EBU have been in discussions already with countries that were missing from 2013 regarding their return to next year’s contest. These included Bosnia Herzegovina, Slovakia, Portugal and Turkey. Poland – From speaking to members from the Polish Press in Malmo, it is unlikely that they are considering returning to Eurovision for 2014 at this moment in time – but this could be subject to change. Don’t forget that the “Eurovision Young Dance Contest” is taking place in Gdansk/Poland next week June 14th, with 10 countries participating. Maybe this will give the Polish Broadcaster a hunger for Eurovision participation again. Possible new countries in the contest include Liechtenstein, Kosovo and Kazakhstan. Liechtenstein– 1FLTV (National Broadcaster) has expressed an interest in joining the EBU for several years now but securing the required finding has been a challenge for them. So watch this space. Is Ralph Siegel watching by any chance? Kosovo – Has sought to join the Eurovision family for some time now. However one of the prerequisites for members is to be recognised by the International Telecommunications Union, which it is not as of yet. Kazakhstan – We are happy to report that they are currently negotiating an EBU membership and they fall into the geographical boundaries for joining the Eurovision Song Contest. 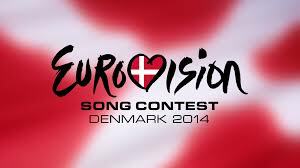 So this could be a possibility for joining Eurovision 2014. We will keep you up to date on this progress. Which, if the EBU is to be believed, is apparently all territories and dominions west of China. At this rate, we can expect to see extra-terrestrial representatives of Saturn’s sixth-largest moon Enceladus make their contest debut before the decade is out.